Prague is one of the most historical cities in Europe. It has a rich history and this fact left on the city building’s its fingerprint of wich Prague 2 is a perfect example for. 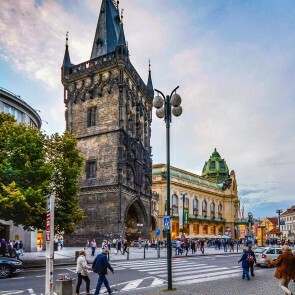 The main part of Prague 2 is the favorite Vinohrady location, which is conveniently connected with the city center by trams and subway system, is not crowded by tourists and has gained a reputation as one of the most desirable residential neighborhoods for its tranquility and safety. Vinohrady offers spacious apartments with the popular Czech high, vaulted ceilings and tasteful decor. It is home to large parks, delicious restaurants, quiet cafes, and local pubs. Vinohrady is quickly becoming the most coveted location for the expat community in Prague. In the Prague 2 part of Nové Město there is place called Náplavka, which is the riverbank area which is becoming very famous due to the variety of festivals as wine, beer, food festival and also very popular farmers markets. As of the location next to the river this is a desirable place to spend an evening. From this embankment you can also take the boat trip to the ZOO which provides you with a charming view of Prague. There are also two large parks – Gröbovka and Riegrovy sady with its favourite beer garden. Other monuments worth seeing would be the Vyšehrad castle, Dancing house and Emauzy church. The Dutch bank asked Frank Gehry to built something in this relative small 491 sqm. The main reason of this project was that the Dutch bank wanted to create an icon for Prague. The construction started in 1994 and it was finished in 1996. The building is the best example of creative architecture, with an unusual shape between the historical houses. It reflects a woman and man (Ginger Rogers and Fred Astair) dancing together. In 2005 the Czech National Bank issued a gold coin with the motif of the Dancing House. The house is located in the corner of the embankment Rasinovo nabrezi and the Street Reslova. It is in walking distance from underground station Karlovo namesti. Unfortunately, the house is used as an office, so the entrance is not permitted to the public. 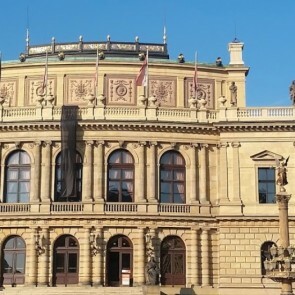 Check out the latest listings in Prague 2 and explore this fizzy city part with its numerous parks, the bank of Vlatava river and many unmissable restaurants making it a treasure for all tenantries.